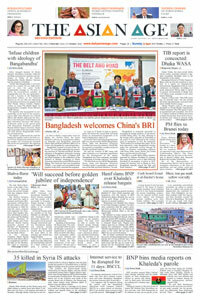 Bangladesh is gaining market share both in sourcing for Europe and North America, according to a recent study. It is still mainly focused on less complex products, but has the potential to further strengthen its relative position, if production capabilities can evolve and quality can be improved, while ensuring social and environmental compliance standards. As per the 12th edition of the Kurt Salmon Global Sourcing Reference study production costs in China are almost reaching the level of Eastern Europe and Turkey, as it has a Production Cost Index (PCI) of 47. It is even exceeding costs in southern European rim locations such as Morocco (PCI 31). As China has longer transportation lead times, and as a consequence considerable less sourcing flexibility, its competitive strength erodes rapidly – China is no longer a low cost production country. On the other end of the cost continuum, Myanmar and Bangladesh show the lowest PCI values, 12 and 14 respectively. Ongoing efforts to improve social and infrastructural conditions, such as the established minimum wages in both countries, indicate further increases in sourcing costs for the future – but still on a very competitive PCI level. Recovering from the embargo, Myanmar has begun its comeback to the textile and apparel business. The country has deep experience in the textile industry, but it does not cover all parts of the value chain. However, foreign direct investment tripled within the last two years emphasising the high potential, says the report. The consequences of current developments become evident when looking at the detailed shifts in sourcing volumes across many product categories. Denim apparel shows a clear move away from China, which lost 7 per cent in 2014 while most other markets have been able to strengthen their position. According to the report, the numbers also show that it is not pure cost considerations which lead fashion retailers away from China. Shifts to Bangladesh, Pakistan, and Cambodia are motivated to save costs. However, at the same time sourcing volumes are moved to regions with higher production costs, but which are located closer to the consumer markets, and thus offering shorter lead times and a higher reactivity to new trends in those markets.